Please join The Augusta Chapter of the Military Order of World Wars and the Vietnam War Memorial Initiative Steering Committee this Friday, 29 March 2019, in honoring those who answered the call to duty and must never be forgotten. 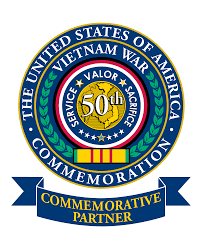 On May 25th2012 President Barrack Obama endorsed a Presidential Proclamation designating May 28th, 2012 through November 11th2025 as the Commemoration of the 50thAnniversary of the Vietnam War. On Friday, 29 March 2019 a Memorial Unveiling and Dedication Ceremony will be held in honor of Vietnam War Veterans of the Central Savannah River Area. Citizens are invited to attend the ceremony at 1:00 p.m., in Augusta, Georgia, at the corner of Fourth and Broad Streets. Some 15,000 Vietnam Veterans, 169 Vietnam War Casualties, 3 ex-pows and 1 MIA are to be honored at this special dedication. The Veteran’s Administration Office in Edgefield County has record of 179 Vietnam Era service men and women currently residing in the county. Also contained in their records are the names of those who sacrificed all: Benny Dean Clayton, Johnnie Lincoln Daniels, Alanzo Garrett, Jacob McKie, John Ready III, Calvin Robinson, Tillman Rodgers and Luther Walker Jr.
One Response to "Vietnam War Veterans Memorial to be Dedicated "
My friend and Vietnam War Vet, Ernest Black, has been on dialysis 8 years probably stemming from agent Orange exposure. Can anyone get word out asking for a kidney donor to help Ernest who served two tours in Vietnam? Does the military allow a non-combat soldier time-off to donate a kidney to a vet? If not, can the laws be changed to allow it?